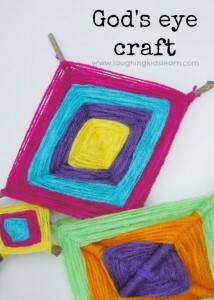 Here is a paper cup weaving craft for kids to make and gift to a friend or keep themselves. It’s creates a decorative cup that you can store odd bits and pieces in. 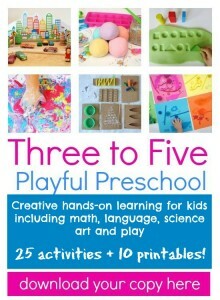 This craft is ideal for children of school age and you’ll find they struggle to stop at making just one. 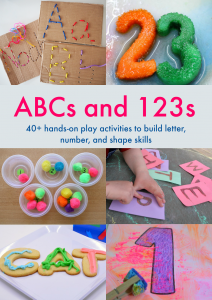 I find now that my girls are growing up I’m looking for crafts that are a little more challenging and the bonus is if it’s something that I like to have in my house for more than 24 hours. 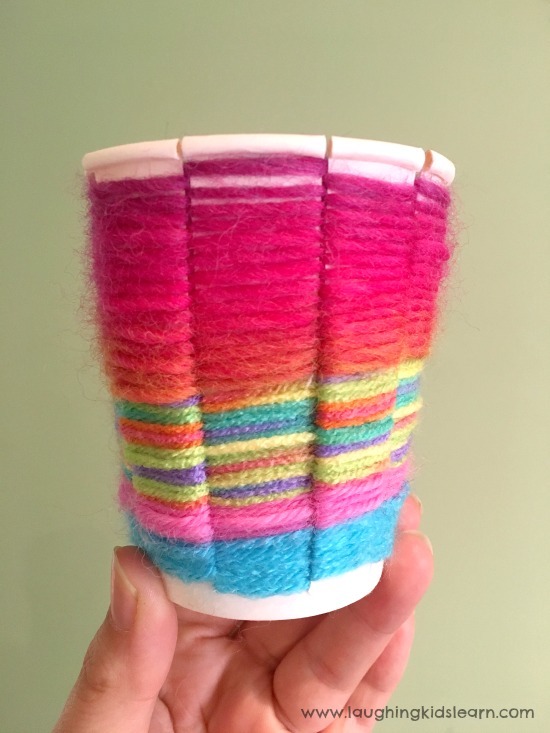 This gorgeous craft makes a little decorative cup using yarn (or wool) and compliments any bedroom for storing odd bits and pieces kids love to hold on to. 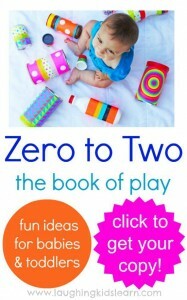 They also make a lovely gift to give a friend, grandparents or stranger! And that’s it! 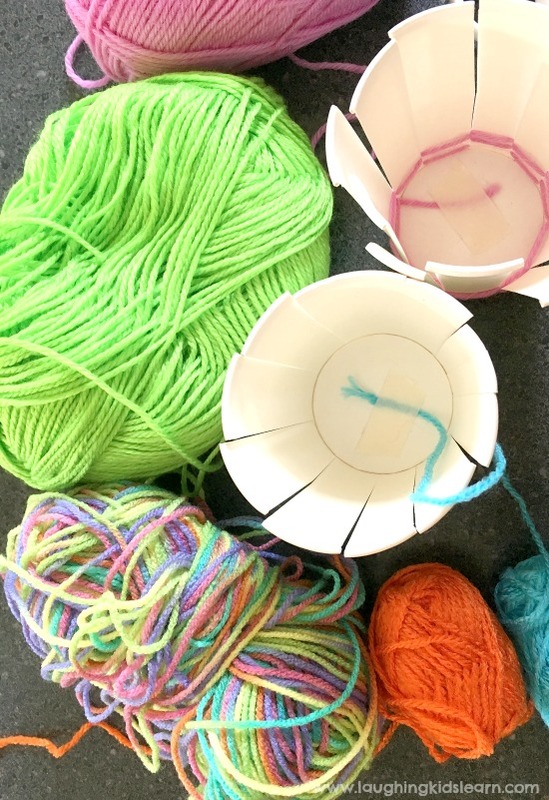 It is incredibly easy to gather everything that you need to make one of these woven decorative cups. Begin by cutting your cup into strips, from the lip of the cup down to the base. You want to try and get an odd number of strips, or else the process of weaving the yarn will only cover half of the outside strips. We leant this the hard way. Tape the end of the yarn to the base so that it stays in place as you begin your weaving. 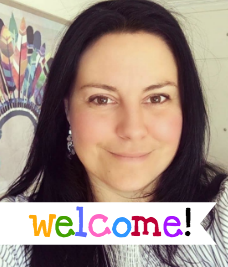 Have your child take their time weaving in and out between the strips and around the cup. It will take a little bit of time to see progress, but as your child gets going they will be motivated to continue and work their way up the cup, building on what they have done. Possum (aged 6 years) loves craft, but did initially become disheartened because of the time it took to seeing the progress. 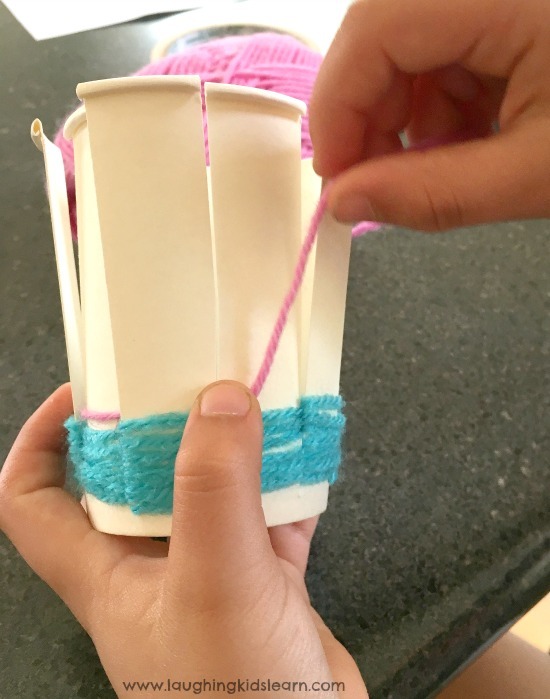 It was only until she had done about 6 laps around the cup with the yarn that she was inspired to keep going and really make it look the way she wanted. There was no stopping her! This is the finished product of Possum’s decorative cup! This is a craft that takes some patients as their efforts are hard to see at the very beginning. But the end result is something they feel very proud of and can use. It’s a useful piece of art! This was one that I had done as an example for her to follow. 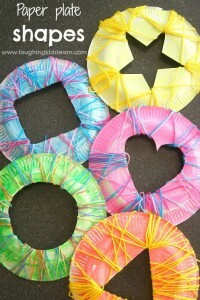 This paper cup weaving craft for kids to make and gift is such a fun idea. You’ll notice that I have changed yard. This is very easy to do. 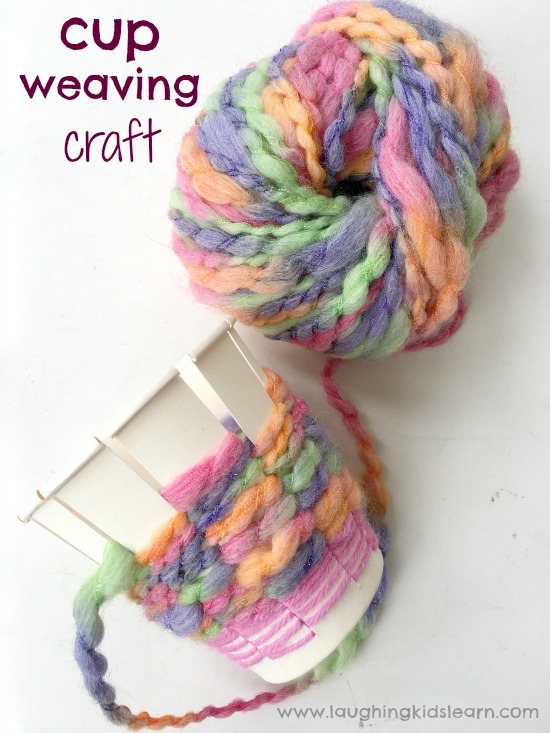 Simply weave your first piece of wool until you get to a point you want to change. 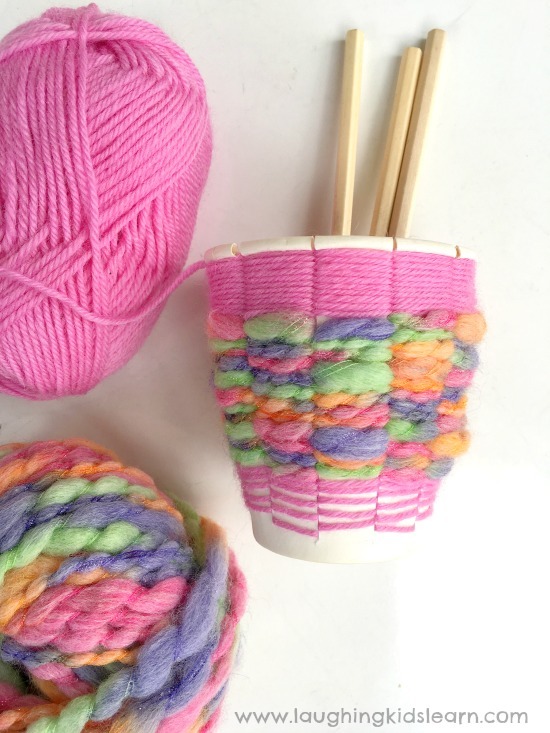 Knot it with your new yarn, ensuring it’s hiding within the cup, and continue! Have your child weave around the cup until they reach the lip of the cup. 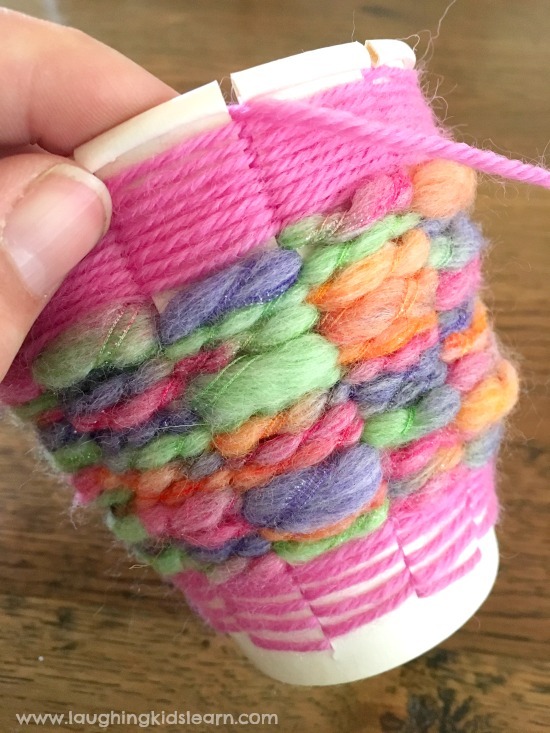 Cut off the yarn and tuck the end into one of the woven loops inside the cup. No one will see it and it should look seamless. Then it’s done! 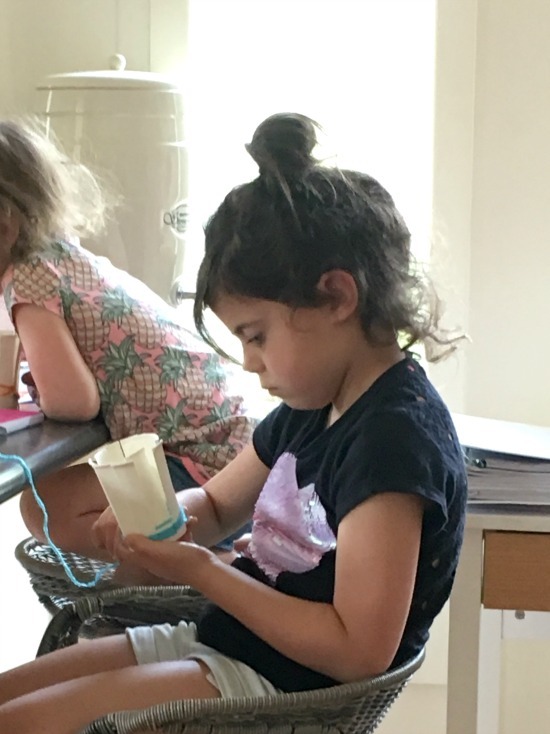 It’s lovely to see older children enjoying craft and this is one idea that they are sure to want to do over and over again. They make a great handmade gift and look gorgeous in any bedroom for the odd bits and pieces your child loves to hold on to. 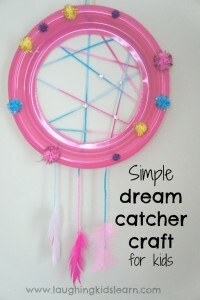 Is this a craft your child would enjoy doing?